Middlesbrough was a large industrial city on the River Tees with a large port and docks, Steelworks nearby and the large chemical complex of ICI which was split up in the 1990’s and there are many chemical offshoots. I continue today from the Riverside Stadium along the Teesdale Way past various industrial sites but it is not long before my route is closed at South Bank Station and I have to find my way along busy trunk roads. I finally leave the main road at Coatham and walk along its sandy promenade into Redcar. 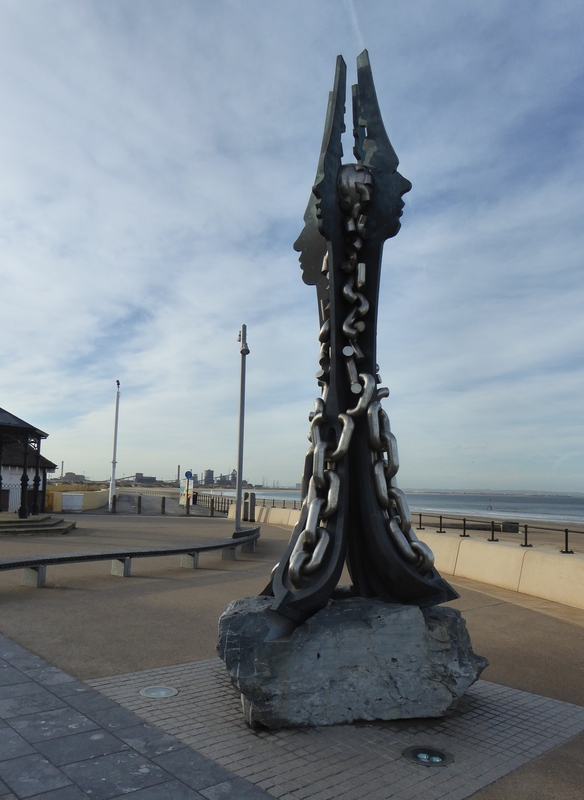 The promenade has been redeveloped with steel sculptures depicting its heritage and a building that looks like a helta-skelta, Apparently it’s a vertical pier called Redcar Beacon. My route takes me out of Redcar along the Stray by Zetland Park to Marske-by-the-Sea. As I approach Marske there is quite an imposing building on the cliff tops overlooking the sea. It is Cliff house which was a holiday home for the Pease family who were prominent business people. Not sure who own it now though. 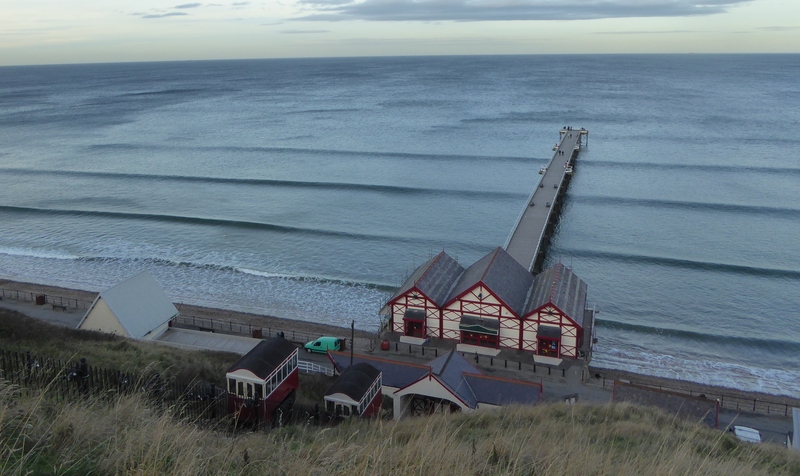 I walk on the beach towards the pier at Saltburn where I finish for today. This entry was posted in England, North Yorkshire and tagged Coastal Walking, England, Redcar, Redcar Beacon, Teesdale Way, Walking. Bookmark the permalink.